They say love teaches us to accept other people. However, it’s impossible to put down with everything; there will always be things we wish to change in our beloved ones. When two partners live together (not necessarily they share the same apartment), they have to reconsider some of their manners and habits and evolve in a mental sense. But how to organize this process right? Conflicts never solve problems, they only exacerbate the tension between you. Mutual blaming turns into a vicious circle you need to break. Here is a simple instruction on how to navigate the dating world. 1. Find out what exactly disturbs you. All people are different and none of them is ideal. Even though you are compatible, your couple isn’t fully safe from little disappointments. Yes, the very first thing to do is to conduct a deep analysis. What’s going on between the two of you? Why does it happen? Try to look from the other perspective; ask a close friend’s opinion if needed. Why not to prove your love to her? It may solve all the misunderstandings you have. 2. Make up a list. Planning is the key to success. Regardless of what you are musing about, your thoughts should be reflected on paper. Have a brainstorm and write down all your conclusions and suggestions. I personally recommend doing this in pair – each of you gets a piece of paper and gets to work. Note that it should be done in some casual atmosphere when nothing can disturb you. 3. Try to understand the reasons. Apart from enumerating your requirements, you need to figure out what makes him/her act like this. Be ready for the fact that your significant other won’t completely change: the human character forms during the first 4-5 years of life. 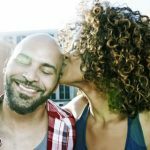 Thus, learning how to reach compromises is obligatory for people maintaining long-term romantic connections. 4. Save time for a long conversation. Harmonious love life revolves around communication. When all the preparation is done, you need to talk. Don’t approach it anxiously – try to provide a relaxing air and keep calm. Nothing horrible is going on, it’s just a conversation any couple should have occasionally. Make sure that you have enough time for it and privacy is guaranteed so you’ll be able to listen to each other and not to interrupt. 5. Avoid blaming your significant other. Adolescents don’t like when someone wants to steer their lives. Would you personally feel happy about it? Certainly not. So avoid putting too high expectations on your sweetheart – he/she won’t instantly transform into a person you want to be by your side. A polite dialogue is the only solution if you want to take your relationship to a newer level. Just keep in mind that some women enjoy men commanding them. Thus, if you are dating someone like those from Marrybrides.com, this tip will hardly work for you. 7. Give your lover enough time. Your behavioral patterns form through long years. Consequently, big changes happen slowly. Both of you need time, do not struggle to fix all the problems right here and right now. Moreover, you should provide him/her with support: we all want to receive our dearest ones’ appreciation. Positive reaction to our deeds stimulates us to develop.